« Stay Rad Wine Blog TV Episode 1: A Hella Blind Tasting! Last night, Kara and I hit up Opa! in downtown Los Gatos. 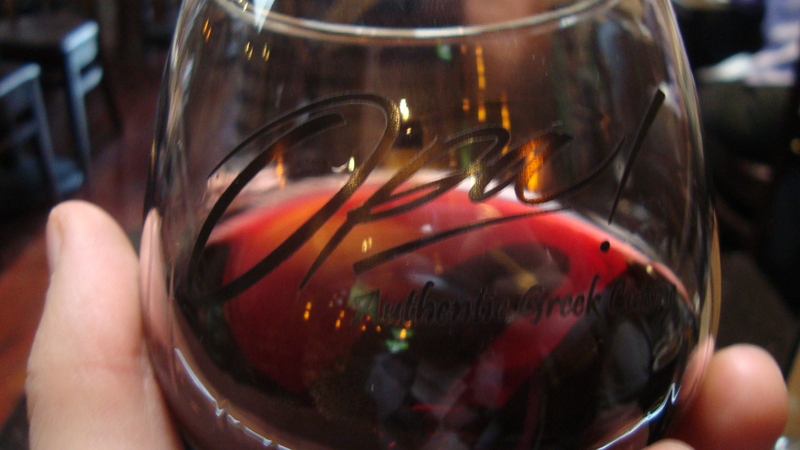 I don’t know much about Greek wine (Why would I? They’ve only been making the stuff since the seventeenth century B.C. ), so I asked our server for some help. “Hell to the yeah, foo!” would have been an awesome way to respond, but instead I just gave her a thumbs up. The Skouras 2007 Saint George Nemea is classified as OPAP (Wine of Appellation of Origin of Superior Quality) by the Greek government. This high-altitude red from the Southern Greek region of Nemea is made in a dry style from 100% Aghiorghitiko. 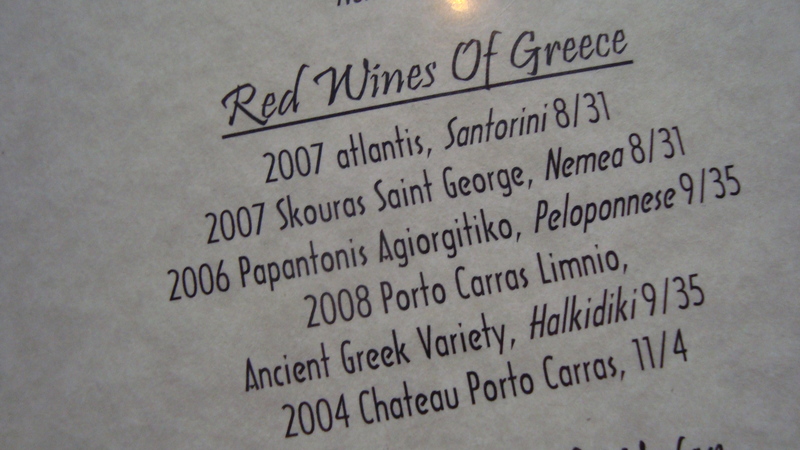 Skouras, by the way, is listed as one of Kevin Zraly’s favorite Greek wine producers. Color: Light red. You can see my fingers through the wine. Look at the picture, foo! Nose: Crushed red apples and berries. Taste: This wine is very juicy. Lots of raspberry and cranberry. There is almost a hint of sweetness to this wine, but it is more juicy than anything else. There is a nice, crisp, short finish on this. Score: It’s tough to give the Skouras a score, because (as warned by the server) it doesn’t taste like anything else. This wine is pleasant, and I would assume indicative of the style. I’ll give it an 86, and suggest that you try it the next time you get an opportunity. Kara and I split the Fiery Feta Dip. Chunky and dope! 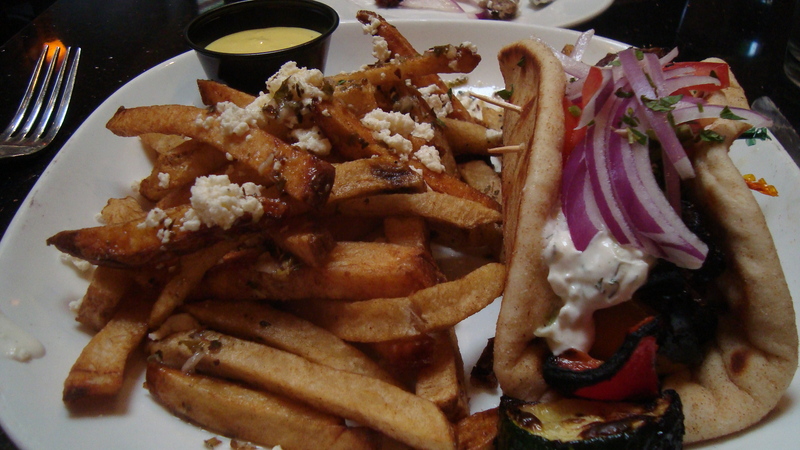 Lamb Pita with Opa Fries. Yum! Life is always better with a little lamb. This entry was posted on November 6, 2011 at 8:16 am and is filed under Uncategorized. You can follow any responses to this entry through the RSS 2.0 feed. You can leave a response, or trackback from your own site. Once I save some duckets, I’ll hit up the country too. I heard they’re closing Greece because they spent all their money on Italian wines, so you may want to plan a trip to Italy instead. Speaking of Italy, what has two thumbs and wants you to review some Italian wines? This guy! (if you could see me, I’d be pointing to myself with my thumbs. Clever, eh?). 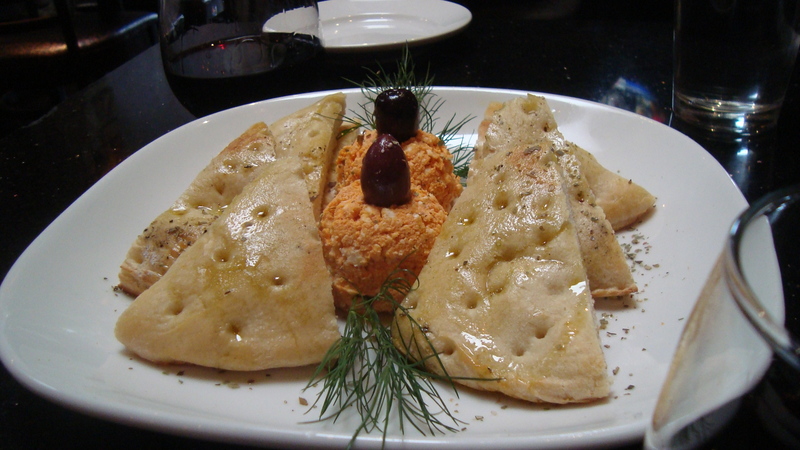 Next time you hit up Opa!, try their saganaki. Thanks for reading, Mr. Thevegetarian.